Dusty garnet color. 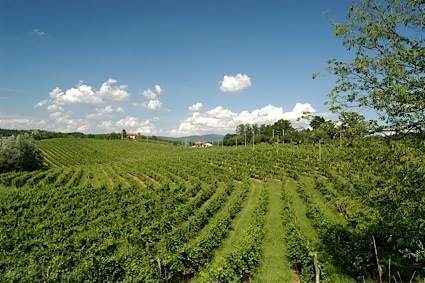 Mature aromas and flavors of flamed orange and ripe red cherries, anise candies, violet, and tobacco and leather with a slightly chewy, vibrant, dryish medium-full body and a smooth, refreshing, medium-length finish with nuances of plum, cola, and menthol with chewy tannins and moderate oak flavor. A tasty malbec that will be great with rich meals. Bottom Line: A tasty malbec that will be great with rich meals. 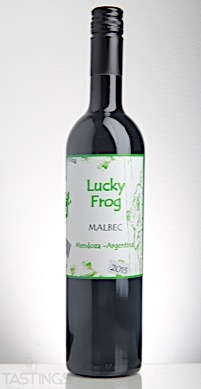 Lucky Frog 2015 Malbec, Mendoza rating was calculated by tastings.com to be 88 points out of 100 on 9/18/2017. Please note that MSRP may have changed since the date of our review.